The Hy Guardian Fly Rug is made from a polyester silver close weave mesh giving superb protection against all flying insects. 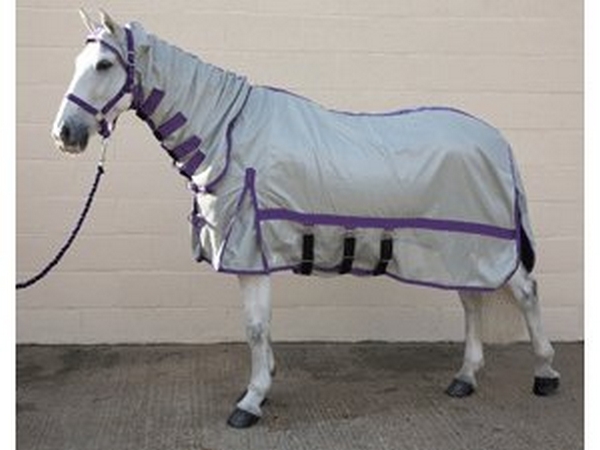 The Hy UV fly rug helps to protect the horse by reflecting harmful UV rays of sunlight. 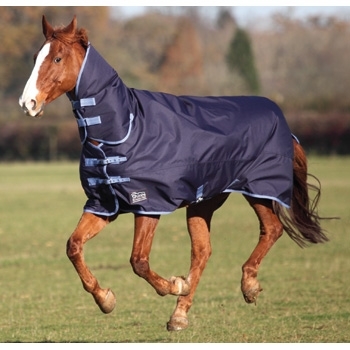 The Hy fly rug has a cleverly designed neck that fits over the ears to help prevent it from slipping down. The Hy Guardian Fly Rug & Fly Mask Set has a fully adjustable elasticated velcro neck straps plus belly flap with adjustable elasticated straps and includes freedom pleats at shoulder. This horse fly rug also features a tail flap, removable leg straps, anti rub lining on mane, tail and shoulder. The Hy Guardian Fly Rug comes complete with a fly mask protecting the eyes and ears and features an attractive Hy refelctive logo. Please note: this rug may come with Blue binding or Purple binding (as shown on picture). 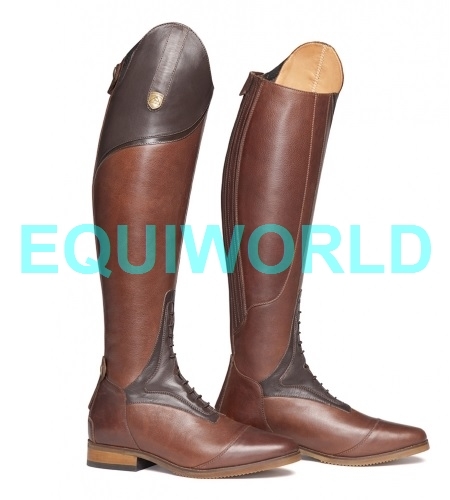 If the colour matters please contact us first to check availability in your chosen size.